There’s just something about LeBron James that seems to be able to capture the imagination of the public. Maybe it’s part of the circus that surrounds him: free agency signing specials, moving from his hometown team to a big media market, moving back to Cleveland, and so on. 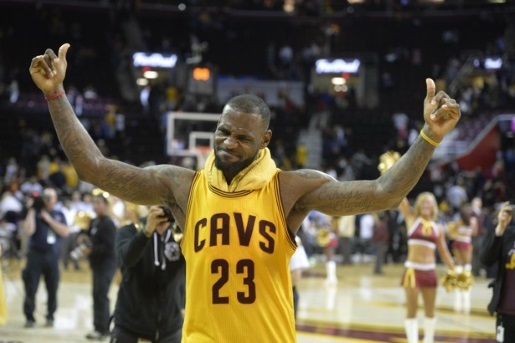 Everyone seems to want to pay attention to LeBron, and everyone wants a piece of LeBron, too. Fortunately, Nike’s going to snap him up before anyone else can get any of his shoe-based love. Nike has signed LeBron James to a lifetime contract. Nike has never signed a lifetime contract with an athlete before, but there’s never been an athlete quite like LeBron James. Sure, Michael Jordan was great, and the Air Jordan brand sells $2.2 billion in merchandise every year, but LeBron has put himself into position to be the new Jordan, at least off the court. James has the highest-selling sneaker line in the NBA, with some $340 million in sales every year. That’s not even counting how many jerseys he’s going to sell as he continues his NBA career. He seems like he’s been playing forever, but he’s actually relatively young and, if he’s like Jordan, he’s got at least one more new team in his future before he hangs up his sneakers and heads to the board room of Nike.